Each of the rooms at Apostrophe B&B includes cable TV and a private or shared bathroom. Guests can enjoy a continental breakfast in the conservatory every morning. It includes various kinds of bread, eggs and fresh fruit salad. Amsterdam Bijlmer ArenA Railway Station, featuring the Heineken Music Hall and Amsterdam ArenA Stadium, is 3.2 km away. 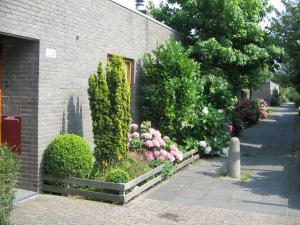 B&B Apostrophe is a 20-minute drive from Schiphol Airport. Free parking is available on site and guests can make use of an airport shuttle service for an extra charge.